Americans are expected to spend nearly $340 billion this year on upgrades and expensive repairs of their homes. Is transforming your ugly New Orleans house the best method of selling your home quickly? Upgrading an ugly house requires investment. We buy ugly houses so you don’t have to spend a dime. House renovations are a huge business and something of a national pastime. A recent report by the Joint Center for Housing Studies of Harvard University shows that in 2018, Americans are expected to spend nearly $340 billion to upgrade or repair their homes. When should you consider remodeling? What if you can’t afford expensive home repairs or don’t want to spend the time on managing contractors? What are your options then? With TV channels like HGTV broadcasting a slew of house-makeover shows, as well as remodeling stories showing up in print media and on websites like Houzz and Pinterest, it’s easy to see why home renovations are perceived as both a form of self-care and a necessity. It’s fairly easy these days to find inspiration and copy it — especially if you can afford it and aren’t afraid to DIY. Chances are, someone already has done it and posted the before-and-after pictures with a detailed how-to guide. But not every home improvement project will increase the house’s value. An important part of increasing curb appeal for your NOLA home is incorporating landscaping into the exterior design. This could involve everything from simple fixes like adding potted plants to the front entrance to more elaborate projects like adding a garden. While it’s always tempting to look for a bargain, it may not be wise to cut corners with landscaping. Experts agree that you’ll thank yourself later if you buy the healthiest plants to incorporate into your design. One of the effective ways to transform an ugly house is to update ugly siding. It’s on the list of the top seven home improvement projects that add the most resale value. Tips include restoring what you can before you replace it, using two coats of sealant over clapboard to give it a smoother surface, and using the project as an opportunity to check for lead and termites. There are many DIY tutorials (with plenty of visuals) online on how to repair cracks and resurface a concrete driveway. Cracks are common, developing from years of wear and tear, and caused by tree roots, soil movement, or drastic changes in the weather. You don’t necessarily need to remove a slab and pour new concrete. For some homeowners, the best solution might be to sell their New Orleans home as is, in it its present condition, for cash. No matter what kind of house you have or how ugly or dilapidated it is, Big Easy Buyers will buy it from you. You won’t even need to clean or upgrade, complete repairs, or fix broken appliances. There are no commissions or fees involved when you sell your home to us. You can sell your ugly house to us in a few simple steps. First, schedule a time to meet us at your house for a walk-through to assess its value, answer any questions, and discuss your goals for the property. Next, you’ll get a cash offer for your house on the spot (which you have no obligation to accept). If you accept the offer, we’ll sign an agreement and set a closing date ASAP. You’ll be paid in full — in cash — at closing. The whole process, from you contacting us to closing, should take 30 days or less. 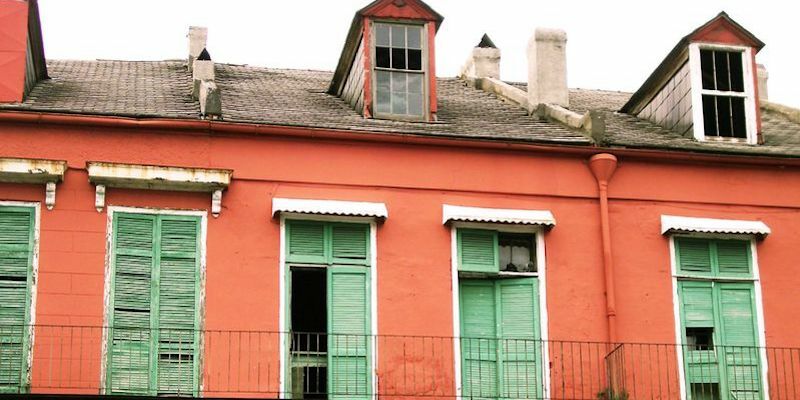 If you’d like us to buy your ugly New Orleans house, in as-is condition, contact us online or by calling (504) 513-7878.